A unique bag that is mature but modern. 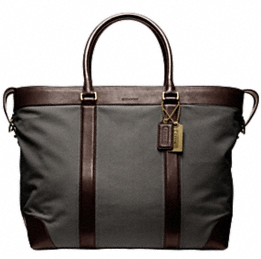 Perfect for transitioning from that long Friday at the office, en-route to weekend getaway. A second attempt at assessing Torrisi delightfully granted me a sampling of its jeweled lunch fare. A previous effort had taken place in the evening, when the grocery style shop had turned into a proper restaurant and I was deterred by an hour long wait for a table. As a nation that thrives on sensationalism, hyperbole frequently takes reign over the reality of how good things really are. In the realms of food, the quest for the best insert-whatever-here is never over. Consequently, we can be disappointed, sometimes even puzzled by our experiences or palates for that matter. Torrisi has enjoyed, for sometime now a cult-like following, its devotees often waxing eloquent about the highly coveted turkey sandwich for lunch and the ever changing prix fixe menu for dinner. Speaking solely about my lunch experience, I can confidently say that I was really pleased. I had the turkey on a roll. A round mound of super-moist turkey that was coddled with lettuce, tomato and a deliciously spicy and sweet coulis. I couldn’t decide if this vegetable spread was tomato or red pepper based. A smidge of mayo brought a creamy disposition to the whole experience. At first, I decided that this was a good sandwich but after two or three bites into it, I realized that it wasn’t only good but a rather noble one. The bread itself, not only harnessed the sandwich’s contents but actually contributed to the experience of devouring the delicious turkey. To accompany the roll, I had the spicy rabe and the asparagus salad. It was in these side dishes that I began to understand what the folks at Torrisi are set on doing. This is a place that makes good food and nothing else. Adjacent to Little Italy, Torrisi elevates Italian-American cuisine to the territory of the divine without the pompousness of haute cuisine. Creamy yet dairy free, coconut milk is an interesting ingredient detour to explore when frozen yogurt seems humdrum. 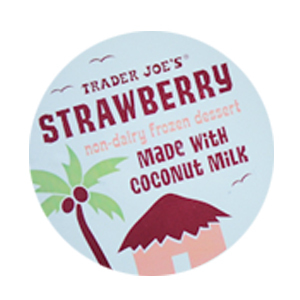 Trader Joe’s, purveyor of cheap, cheery, and delicious, has mastered coconut ice-cream when captured in strawberry. Here, understated cold and soft coconut coddles with a demure sweet strawberry flavor. The result is beautiful, mild, and creamy. Steer clear from it’s chocolate counterpart, a chalky waste of calories.